This photo was taken during a walk-thru of a private residence located in Chesterfield, VA on January 18, 2015. Paranormal claims include the residing spirts of two women. We had reservations posting this as paranormal but after much scrutiny and family testimonies, we have concluded this photo to be paranormal in nature. What you see here are two different persons with the one going through a bedroom doorway a spirit. We have ruled out double exposure as it is nearly if not impossible for this to occur with a digital camera, and we have ruled out this anomaly to be the product of a slow shutter speed. Our lead investigator, Deborah, is standing outside the doorway in the hallway. Deborah’s hair was very straight, neat and flat in appearance…not a hair out of place. Not only does the anomaly/figure going through doorway have a hint of unkemptness about her hair, her hair is approximately six to eight inches shorter than Deb’s. This figure is dressed differently and possesses a different build than Deborah. The client’s family members not residing there, and the client herself, attest that the woman seen going through the doorway is the spirit of her mother. This photo was taken during a walk-thru of a private residence located in Chesterfield, VA on January 18, 2015. Paranormal claims include the residing spirts of two women. 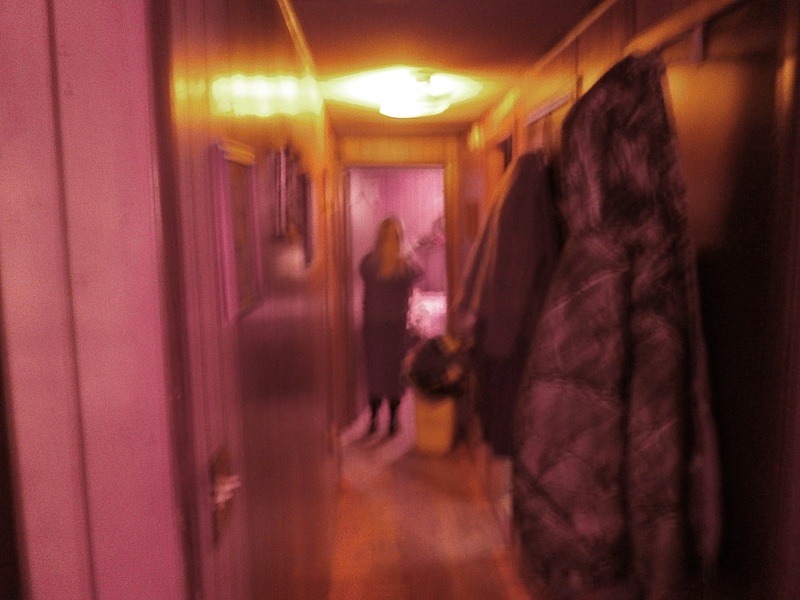 Our lead investigator, Deborah, is down the hallway at a bedroom door holding a camera. Standing closer to photographer and to the left of the hallway is a figure looking at Deborah. Photo taken at a private residence at an undisclosed location 10/04/14. Image from a private investigation CPR conducted at the Jennie Wade House in Gettysburg, PA. Photo was taken in basement where it is said a negative spirit resides. Our friend Dwayne is engulfed by a spirit. The face you see is not that of our friend's.